The decade long question of what happened to Beagle 2 has been finally answered after the probe was discovered on Mars this week. Images of the landing site showed that the probe successfully landed but only partially deployed meaning communications with the team on Earth could not be enabled. Beagle 2 will enter the history books after becoming the first successful probe to land on Mars. 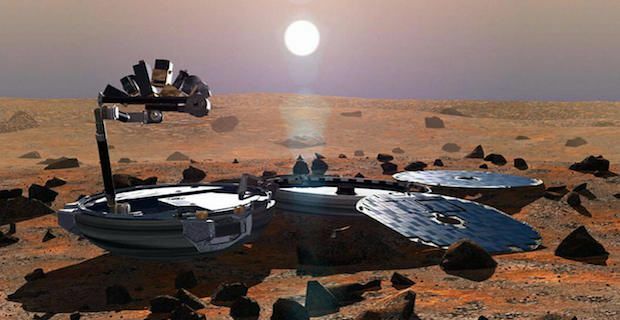 In 2003, the Beagle 2 mission cost approximately £50 million and the goal of the probe was to discover if there were any traces of life on the Red Planet. However, on December 26th 2003, Beagle 2 vanished without trace leading to much confusion over its' fate. The head of the UK Space Agency David Parker told a London press conference "What we can say with some confidence today is that Beagle 2 is no longer lost and furthermore it seems we are not looking at a crash site." The 2003 mission was overseen by Professor Colin Pillinger who passed away just last year. He was keen to get funding for a follow up mission in order to ascertain exactly what went wrong with Beagle 2 but was left frustrated in his attempts. He said "If we'd turned around immediately and said we'll give it another shot, we could have men on their way to Mars by now." Pillinger's wife Judith, who was also a member of the Beagle 2 team, explained the significance of the probe having landed on Mars in a semi-successful manner. "No doubt he would have compared Beagle 2 landing on Mars but being unable to communicate to having hit the crossbar rather than missing the goal completely."